LUCY WOOD: NOW CLOSED. My 200 Follower Giveaway! Customised Phonecase! NOW CLOSED. My 200 Follower Giveaway! Customised Phonecase! I ummed and ahhed about what I would giveaway for a while, but I knew that I wanted it to be something special because I really am so pleased! A few days ago I had a sudden, and rather obvious brainwave. 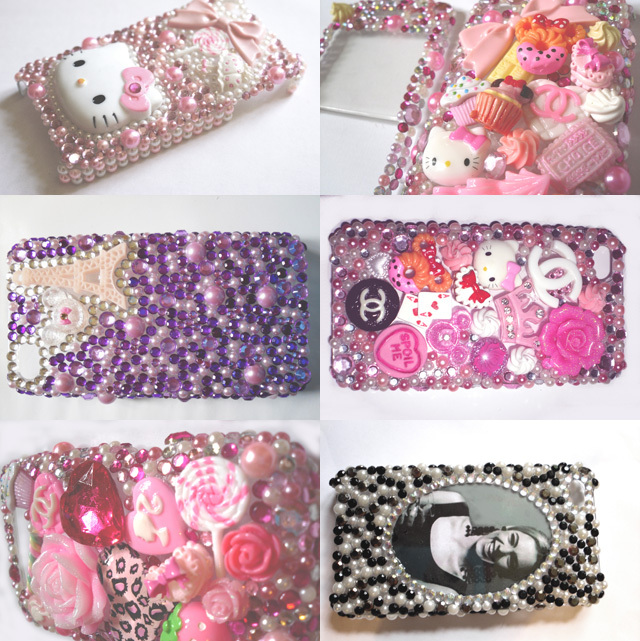 Those of you who've been following me for a while will know that I make custom designed, very OOT and glitzy (some may say hideous) phonecases as used by the fabulous LLYMLRS and VIPXO! In a rhinestoned nutshell, I operate through Facebook (click the link to see some more examples), and make them for any phonemodel, ipod, portable games console, anything you fancy. I then have a folder of decorative items available to choose from, and the customer selects their decorations and a colour scheme, and hey presto, I create it with my loving hands! So for my first ever giveaway, Im going to give away one of my phonecases! The winner will win either a phone, ipod or games console case (your choice!) created with up to 5 decorations from my range, made entirely to their taste. I have rhinestones in every colour under the rainbow, and a huge range of decorations to choose from, so Im pretty sure there's something in there that everyone would like. I can do fabulously trashy, or slightly more demure, it's totally up to you. 2. Leave a comment on this blogpost saying you'd like to enter, and including your email so I can contact you if you win! Winner will receive one case containing a colour scheme of stones of their choice, and up to 5 decorations of their choice, providing they are in stock at the time or to be in stock soon. Please let me join in your giveaway ! Ohh i really love them. Enter me please. love your phone cases, enter me! 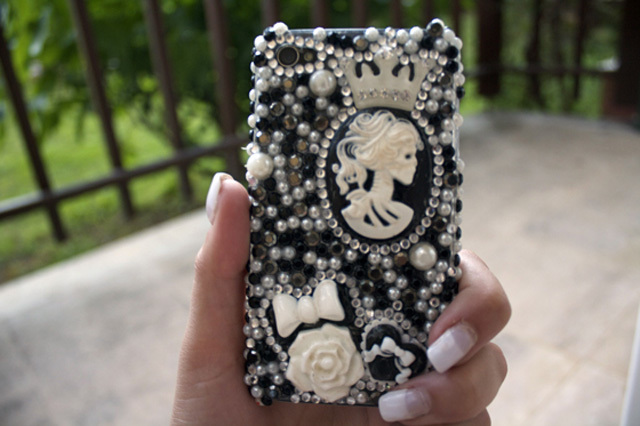 i really love the first one, your cases are beautiful! I already follow you on bloglovin and I just tweeted! (I'm @scheinez). i follow on gfc, have tweeted, follow on bloglovin too, and like the fb page! congratulations on your 200 followers! they follow you because they like what you write as do i! and your outfits are super cute! I would like to enter this because i think they're amazingggg! i follow you anyway. Congrats on hitting the 200 mark. I have also tweeted your comp, I already follow you on your Facebook page and I of course follow your blog here. i want to enter i want to enter!!! ive tweeted about your giveaway! Your work is beautiful and thank you for this giveaway! these are amazing, I'd love to enter pleaseeee, I follow you on heree & will be sure to mention you in my next post. ooh, enter me please! they're all lovely. enter me pleasee, wanted one of these for my ihpone for ages! oh and i also follow on bloglovin. just don't use it as often! Your phone cases are gorgeous. Would love to enter, my email is perfumed_pages@hotmail.com. Amazing giveaway, wanted one of your cases for months, hints to the boys really not working! I'm Following you with good friend connect. I Follow you on Facebook as Simone Lucinda Garland. I've followed you with google friends and I like your page on facebook.